My name is Jonathan Heim and I am the owner of Barkly and Meows. I am a graduate of The University of Akron and my background is in Economics and Law. I graduated college in 2007 and immediately began managing a couple of different physician’s offices. After growing tired of dealing with health insurance companies every day, I decided to pursue the dream of being an entrepreneur! Barkly and Meows opened in September of 2014 and is operated by Alysa, my wife, and myself. 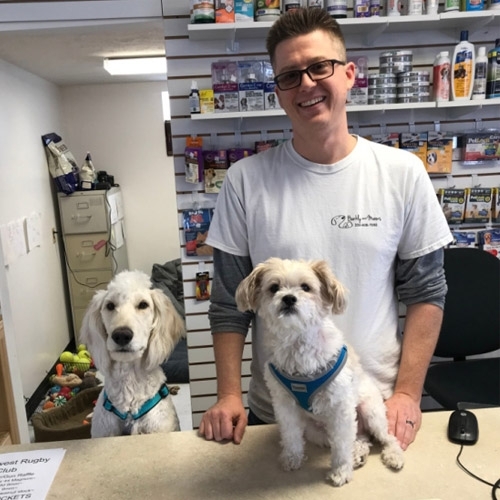 You will also see our two family dogs, Zephyr the Labradoodle and Phinny the Shih’ Tsu/Poodle mix, at the store with us every day that we are open. We do have a cat, Daenerys, who does not do well when she comes into the store so she stays at home most of the time. 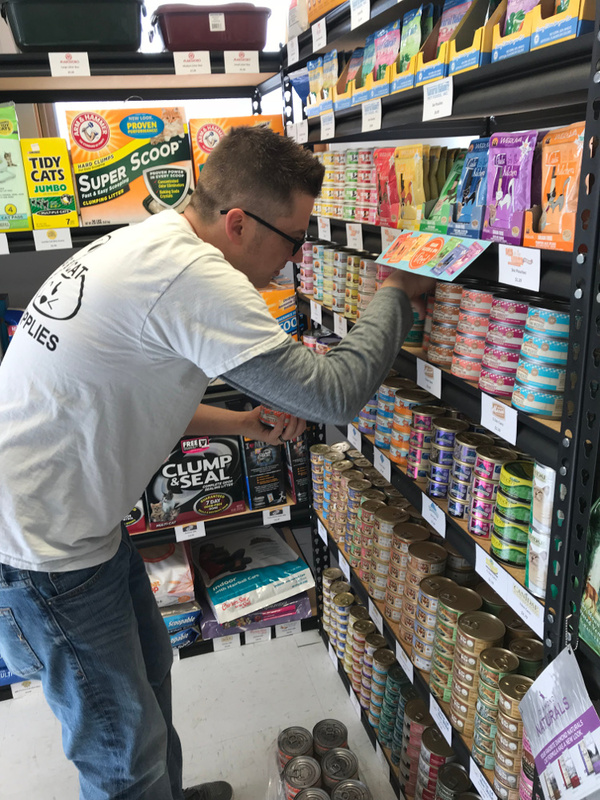 We decided to open Barkly and Meows because of our lifelong love of animals as well as seeing the need for a supply store in Canal Fulton, Ohio. I just couldn’t believe that the closest place to purchase high quality dog and cat products was 20 minutes away. While dogs and cats are our main focus, I have personally had pets of all varieties including birds, salt water and freshwater fish, snakes, lizards, and even mice. I love to talk about animals of all varieties and I am fascinated by the relationships that we build with our pets. 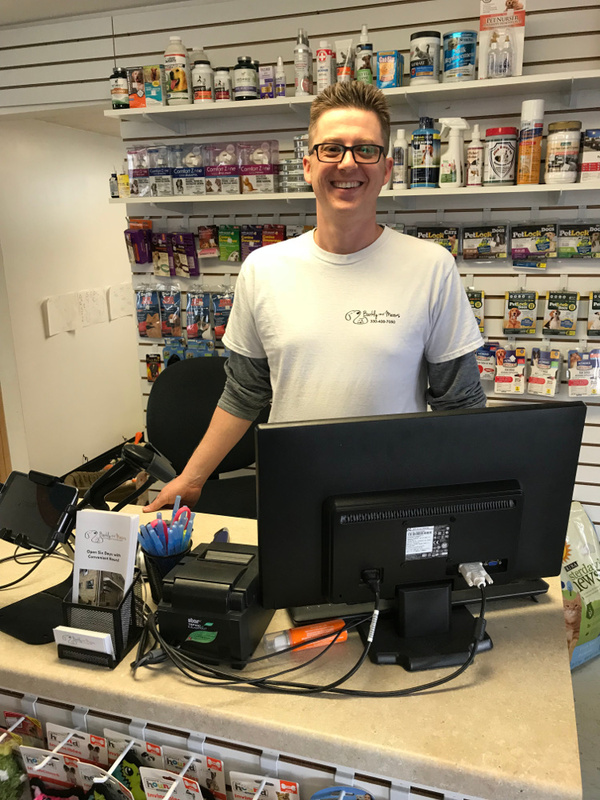 While my background is not in the pet world, I have had an extensive crash course in all things dog and cat related since opening the store. We now offer over 25 brands of foods in our store as well as several other brands of treats, toys, and supplies. There are very few products in my store that I would not utilize in my own home (Phinny won’t eat ANYTHING with fish in it). Our store’s focus is dogs and cats but we can and will order products for other small animals if you let us know what you are looking for! We are very appreciative that the city of Canal Fulton has greeted our store and family with open arms and has really helped us spread the word that we are here.